KSR self-regulating heating cables are an integral part of Thermon’s SnoTrace™ snow and ice melting systems. Designed and approved specifically for direct burial, KSR cable withstands the abuse encountered during concrete placement. The self-regulating heat output of KSR cable varies in response to the surrounding concrete temperatures. When the concrete is at or below freezing temperatures, KSR will deliver the maximum power output. As the concrete warms up, the power output of the cable will decrease. Energy efficiency can be accomplished without special or sophisticated controls. Determining the circuit layout of KSR cable for a snow and ice melting system is easy. 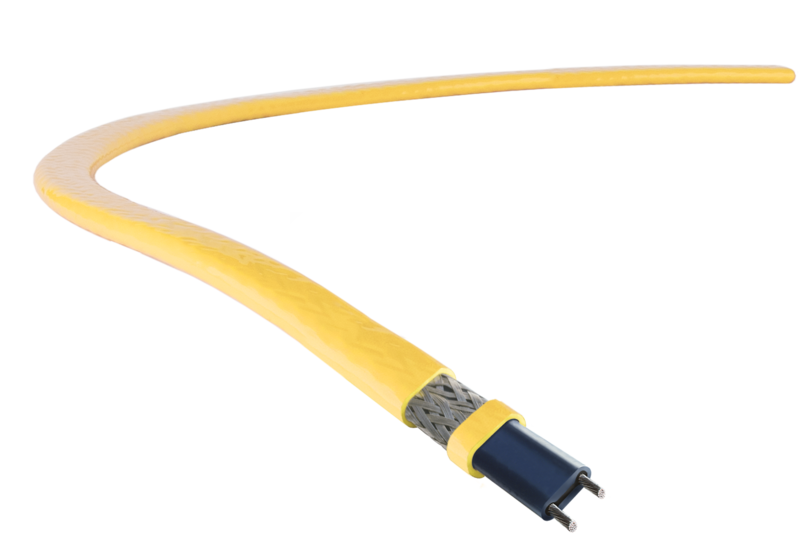 With cut-to-length parallel circuitry, KSR cables are easily adapted to variations in design found at the job site.